Assembly line work requires gloves that not only protect from mechanical hazards, but also give your fingers the freedom of movement needed to do the job. 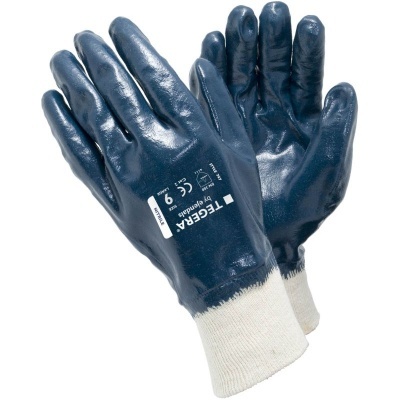 The Ejendals Tegera 747 Fully Dipped Assembly Gloves are comfortable synthetic gloves with water and oil-repellent properties on both sides, that are suitable for most light to medium work applications. The Tegera 747 Assembly Gloves are designated Category II gloves, which makes them suitable for most medium-risk work applications. The Tegera 747 Assembly Gloves are available in five sizes that should suit the hands of most users. Please measure the circumference of your hand around the knuckles (excluding the thumb) with your hand open and your fingers together, and the length of your hand from the tip of your middle finger to your wrist.